TIME IS SHORT. 10% REWARD. We just received our largest client retainer–ever! 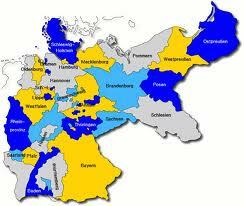 WANTED: ONLY 2 more clients for research IN Germany! Call 1-888-456-7252 MAKE OFFER TODAY! WANTED: ONLY 2 more clients for German Genealogy research ON-SITE IN Germany! Call 1-888-456-7252. MAKE OFFER TODAY! Now is the time for all good German descendants to keep their promises & come to the aid of their German ancestors! Lynell & Karl-Michael SALA = GermanGenealogist.com = just received their largest client retainer–ever! WHAT REWARD? 10% on-going, residual finder’s fee (or research credit) for referrals whose data you provide to us & whom we contact to give a free analysis & who hire us for German-American, USA, immigration or German research, online or offline. German Census or Germany Census? Volkszaehlungsliste? Yet ANOTHER prospect’s German Genealogy research case cracked & confirmed in the Hamburg Passenger Lists! Query Solved! Karl ascertains German city of origin for Paul Fox, a prospect who Contacted The German Genealogist! The Passion for Genealogy: DOELL matriarchal lineage extended for our client, Lois Jurss! East Germany on-site field research behind the former Iron Curtain!